They can express themselves freely in their personal time, but classroom time is mandated, sanctioned, and funded for by the state and should be treated differently. In their role as teachers they have power over others. Symbols worn by powerful people are going to be (consciously or unconsciously) associated with power. 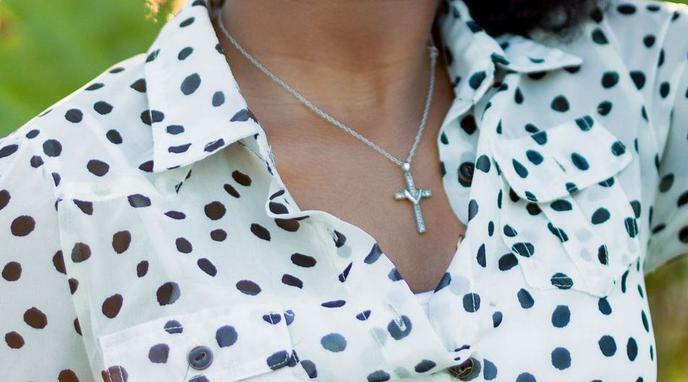 Having a teacher wearing religious symbols may thus suggest to students that the rules and values associated with this religion will affect how they are perceived and judged by this authority figure. Teachers do not shed their constitutional rights at the school doors unless it causes serious disruption to education or falls under some of the unprotected speech categories such as obscenity, indecency, or libel. Limiting constitutional rights requires a very high threshold that is simply not met by the possible influence of students when wearing a religious symbol that is not indecent or obscene. Teachers in observance by choice does not imply a fusion of state and religion. Students also come from various religious perspectives and could feel pressured, or intimidated into suppressing their own expression of their faith because the authority figure appears to oppose religion.